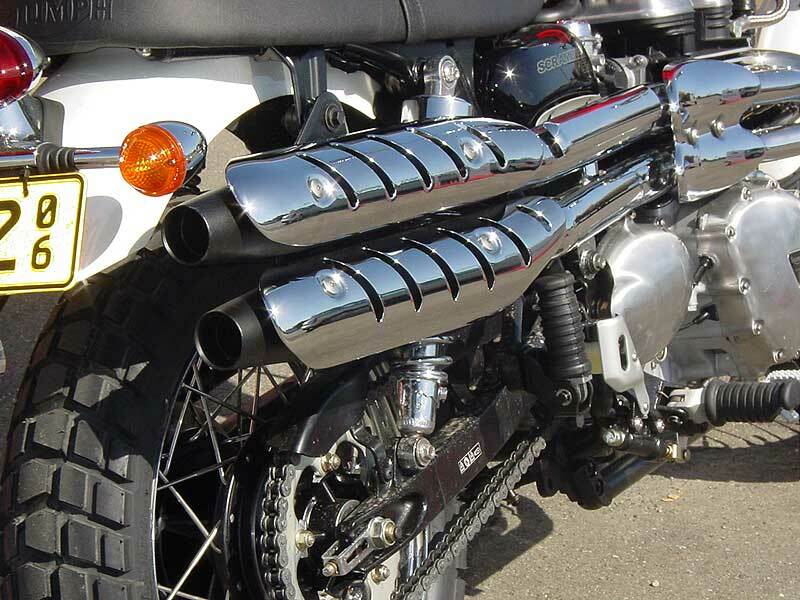 Performance mufflers for the Triumph Scrambler, available in chrome or black HPC. They sound awesome, just like you would imagine it should sound. Very easy to fit, re-use the original heat shields. 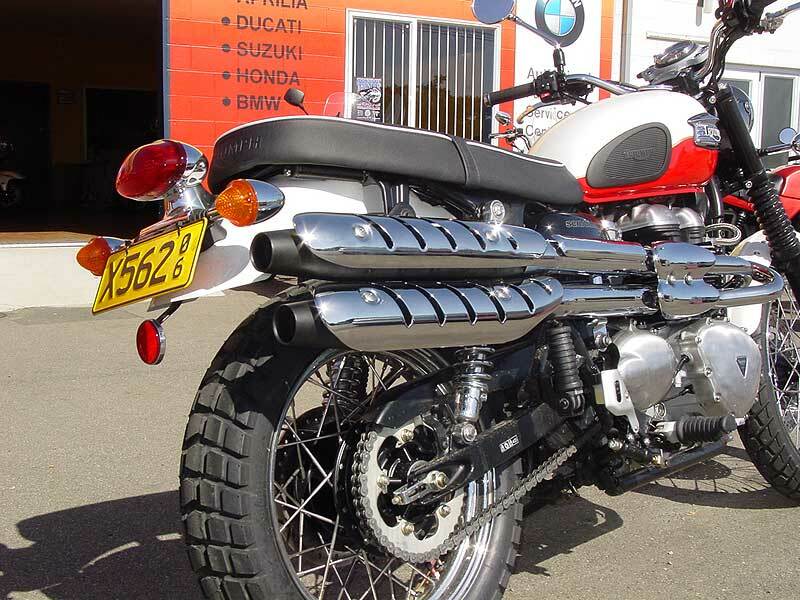 These exhausts are lovingly hand made here in New Zealand, are lighter than stock and have a unique look unlike anything else on the market. 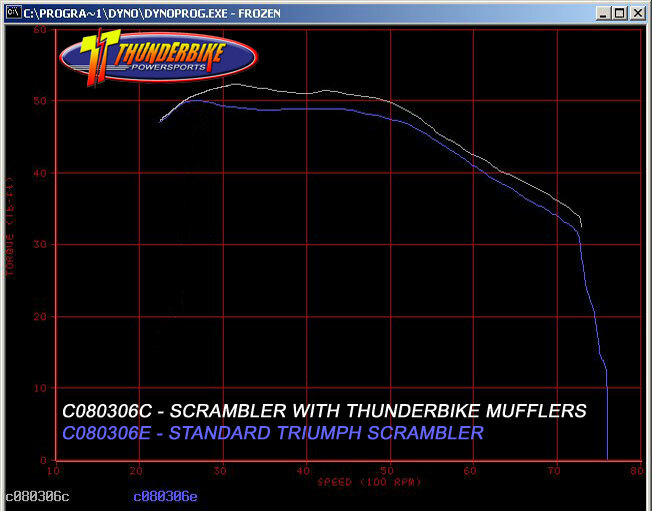 It gets better, these pipes will give a nice smooth power increase throughout the rev range and (we think) they are the best sounding mufflers we've ever heard on a Scrambler! OK we're a bit biased but they do sound awesome, check out the videos below. And to make fitting really easy they do not need rejetting! 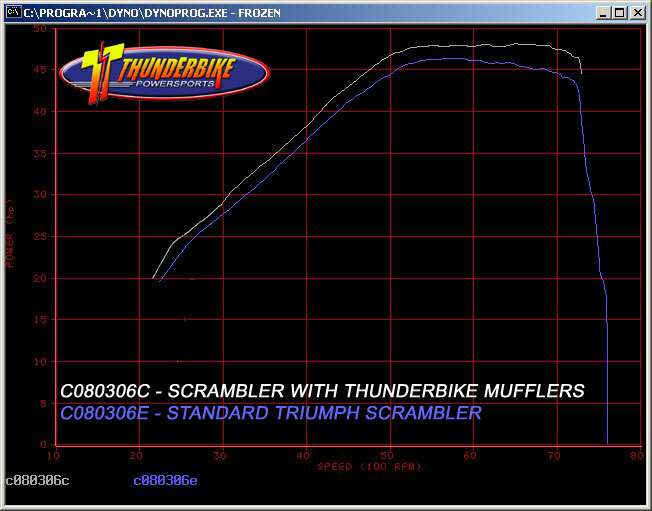 EFI models will benefit from the Triumph aftermarket silencer tune download. Photo shows black mufflers with original heat shields. Note: Early versions of these mufflers had a 41mm outlet diameter which was changed to 35mm. Please check your tailpipe outlet diameter if you are ordering baffles for mufflers already fitted to your bike and advise in the field below so that we can supply the correct fitment. Our exhausts are made to order and the lead time to manufacture is 3-4 weeks plus shipping. Orders aren't charged until they are ready to ship and the prices below include shipping costs.